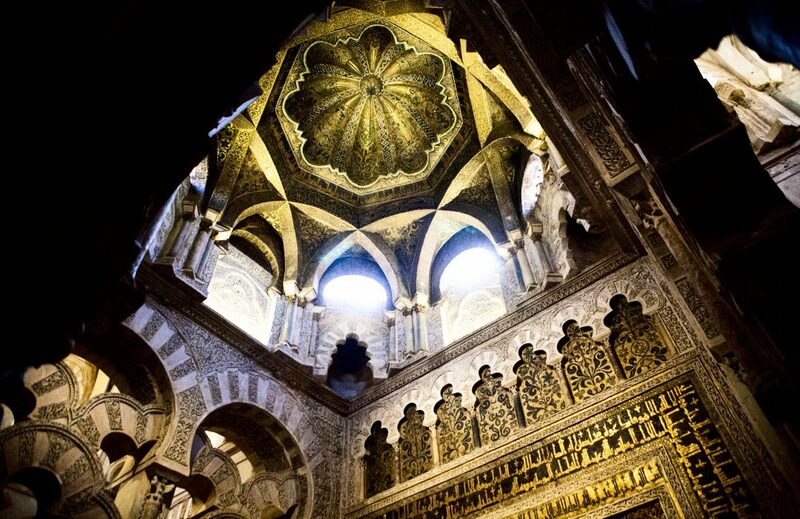 As Oleg Grabar puts it, “The Great Mosque of Cordoba is acknowledged as a major masterpiece of Islamic architecture”. 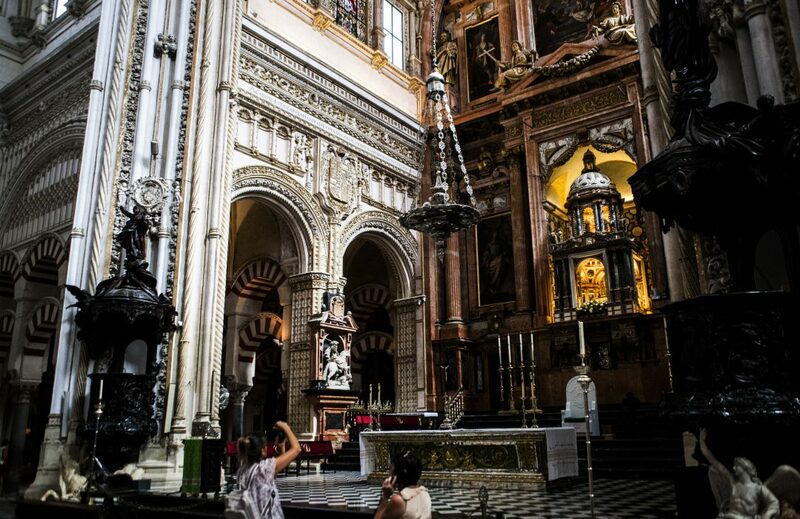 The Great Mosque of Cordoba has been described by scholars as both a typical hypostyle mosque (i.e. a mosque where the roof is supported by rows of columns and pillars) and as a peculiar architectural masterpiece. 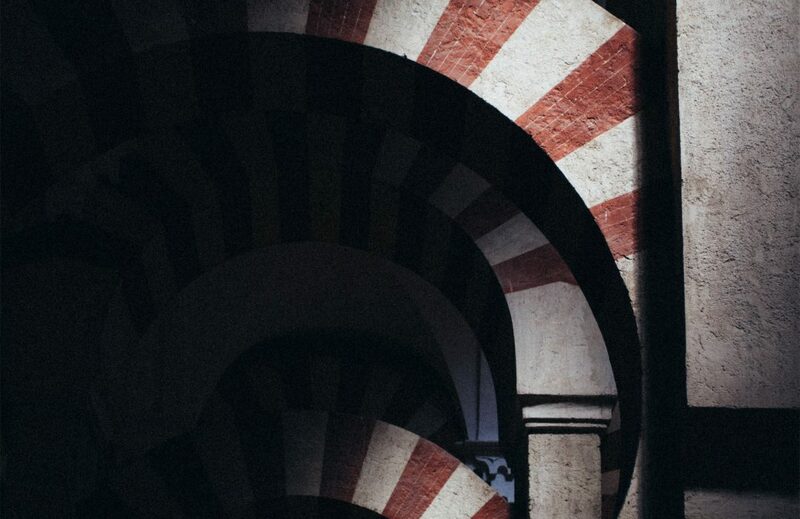 The peculiarity of the mosque is, in two words, its internal consistency: the aesthetic purpose is to create a space which gives pleasure to believers and visitors. 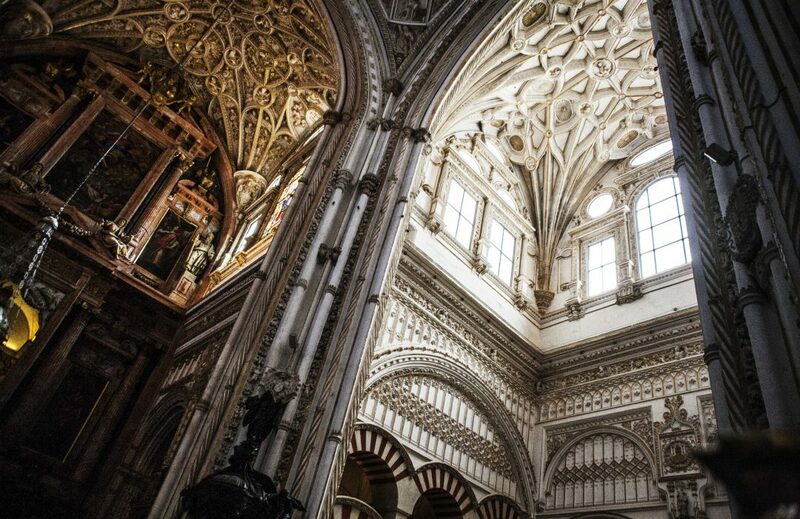 The arches and the columns, the mihrab, the mosaics, all the architectural elements in the mosque play a critical role in creating an aesthetic whole, a “visual beauty” and “sensory effectiveness” that make the Great Mosque of Cordoba one of the most admired monuments of Islamic Spain. The history of the monument is a long one and closely related to the history of the city, and its architectural elements are a mirror of the historical events in a curious and peculiar way. 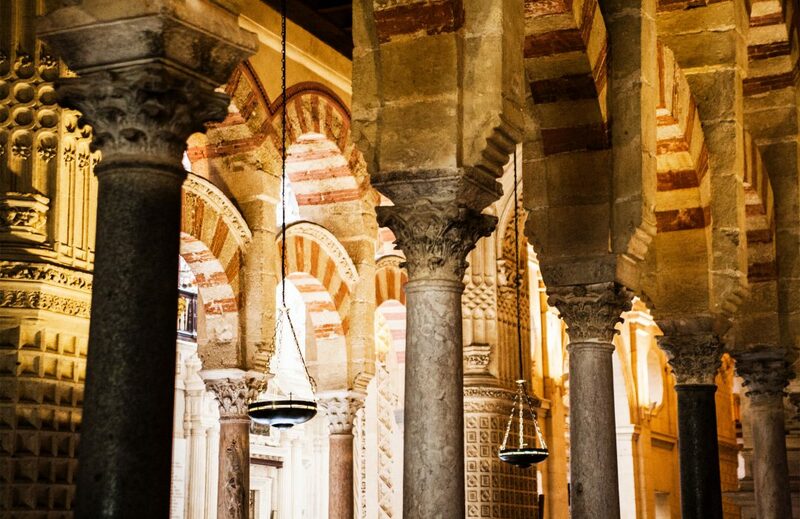 The use of columns and arches is a typical feature of Middle Eastern mosques of early medieval times, and so probably this was the aim: linking the new mosque, promoted by an exiled caliph, to the traditional mosques back in the homeland. The dethroned Umayyad Caliph ‘Abd al-Rahman I, after escaping Damascus, settled down in Cordoba, already part of the conquered Islamic lands. 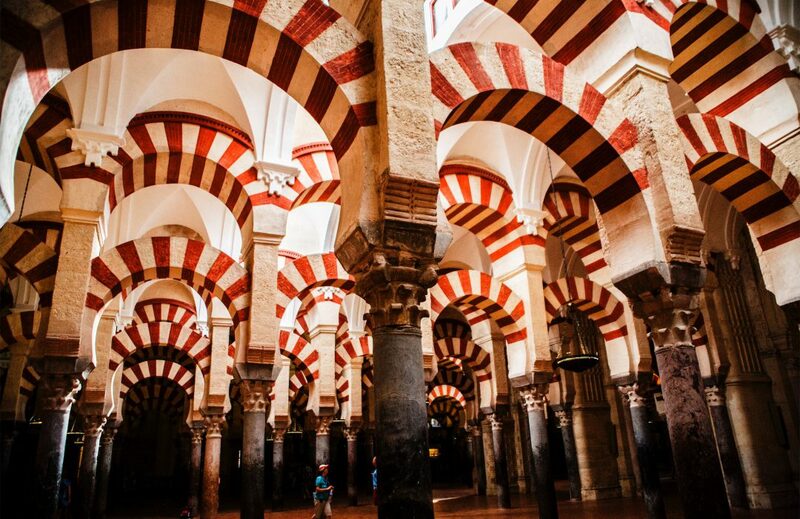 There he started the construction of the mosque in 785-786. 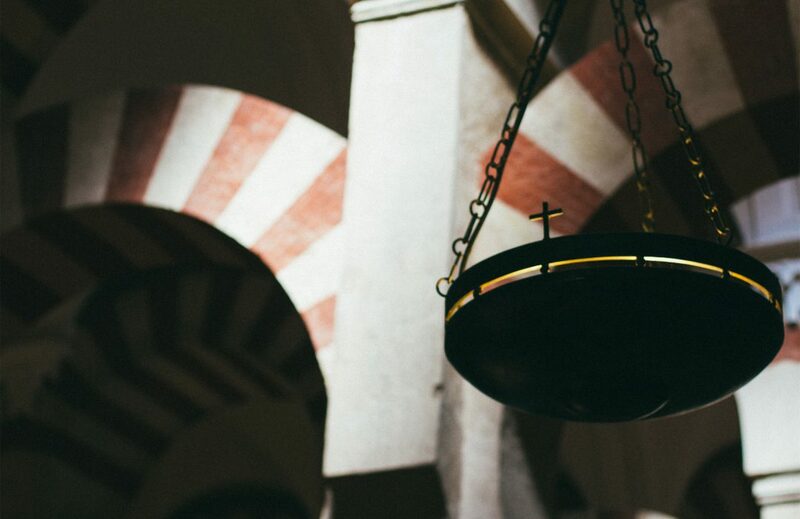 According to some sources the mosque was built on a pre-existent church, giving the Great Mosque of Cordoba the same origin as the Great Mosque of Damascus, which was also built on a church site. This could be true, but we also need to take into account the strength of such a literary topos, connecting once again the Umayyads of Spain with the Umayyad Caliphate in Syria. In any case, it took only one year to complete the mosque, which was smaller than the one we know now. As the community of believers grew, the mosque was expanded by later rulers, in particular by ‘Abd al-Rahman II (833-852), al-Hakam II (961-976) and the vizier al-Mansur (987). These expansion plans did not diverge in any way from the basic structure of the mosque, and the aesthetic whole was not impaired. The single support (column with arches) was adjusted in a flexible manner to accommodate the increasing number of believers. What is strikingly attractive in the colonnade of the Great Mosque is the harmony of proportions between these elements, the equilibrium they create and the double superimposed lines of arches; it is one of the most amazing features of the mosque. 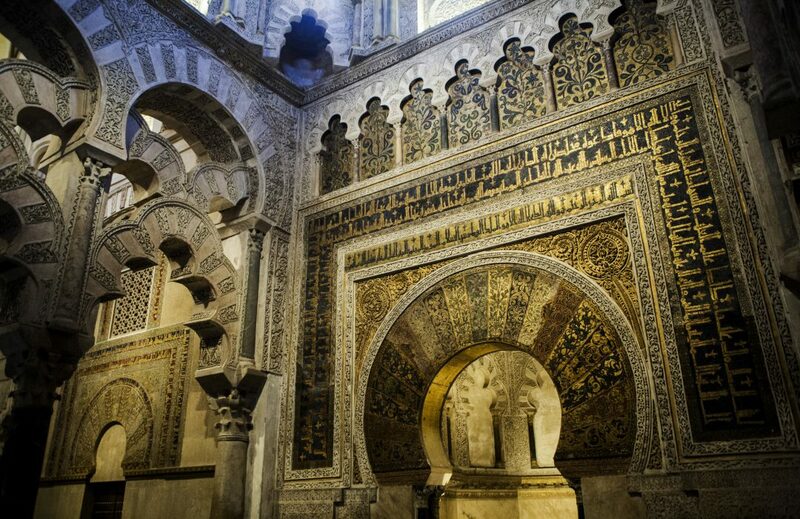 Yet one of the most peculiar features of the Great Mosque of Cordoba is the mihrab and the deep niche it creates, “which is like an empty chamber, or else the gate toward another realm than that of man” (Oleg Grabar). Built and decorated between 965 and 971, the mihrab of the Great Mosque is quite unique, being not simply a niche but a small chamber itself, with three domes in front of it and lavish mosaics and inscriptions. 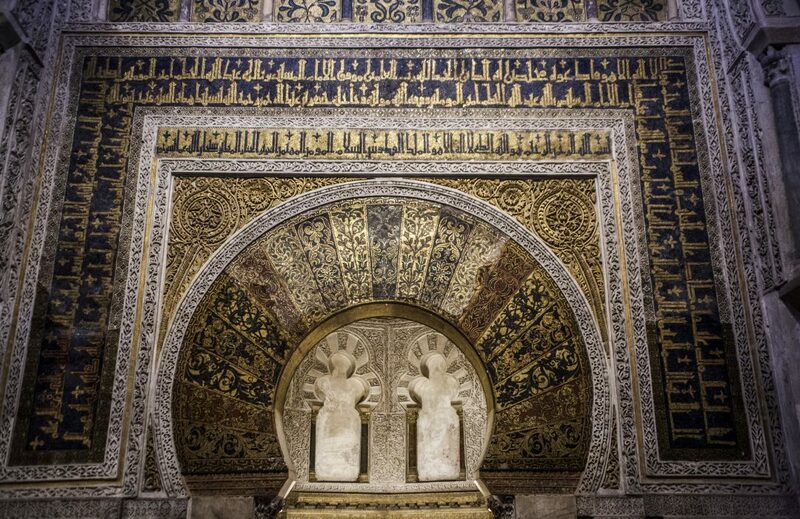 Oleg Grabar suggests that this mihrab can be explained in part by the general direction taken by the Islamic world in this period in which the words mihrab and gate were connected in a deeply symbolical meaning that created peculiar forms. The mihrab is thus an example of a new form, that of gate into another, spiritual, realm. 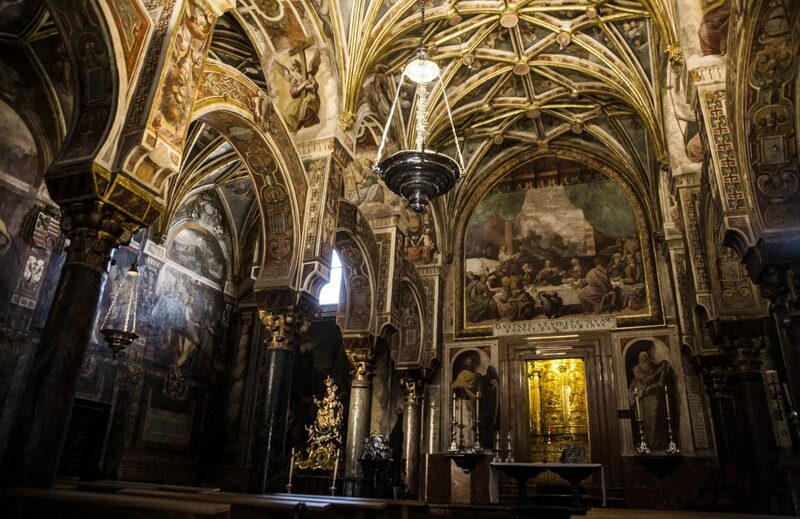 No major change occurred to the mosque from the date of its construction to the Christian reconquista, even in 1236 when Ferdinand III King of Castile consecrated the mosque as the city’s cathedral. 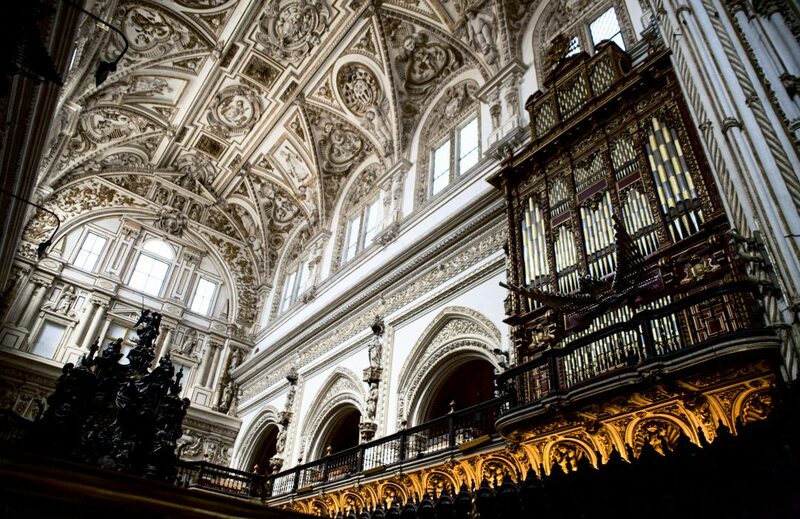 Three centuries later the bishop and the canons of the cathedral proposed the demolition of the old mosque to erect a ‘proper’ cathedral, but the proposal encountered the opposition of the population who didn’t want to see a major historical monument destroyed. As a solution, controversial and uneasy, a Gothic chapel was inserted in the centre of the mosque, creating a strange yet again unique architectural output.